Andrew Schulman, a fifty seven year old professional guitarist, had a close brush with death on the night of July 16, 2009. Against the odds he survived: A medical miracle. Once fully recovered, Andrew resolved to dedicate his life to bringing music to critically ill patients at Mount Sinai-Beth Israel's ICU. In this book, you'll learn the astonishing story of the people he's met along the way - both patients and doctors - and of the people he has inspired in return. 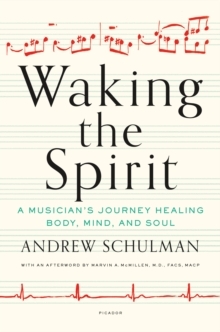 In his new work as a medical musician, Andrew has met with experts in music, neuroscience, and medicine. In this book, he shares with readers an overview of the cutting edge science and medical theories that illuminate this exciting field. 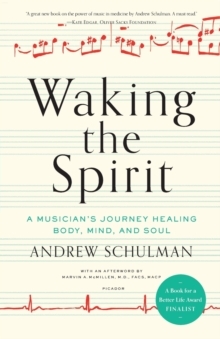 This book explores the power of music to heal the body and waken the spirit.